At Alpine Aviation we’re dedicated to safety, service and full certification. We can help you earn your wings, from Private Pilot through Commercial and Airline Transport Pilot, including a Single-Engine Seaplane rating. You can start at any age, although you must be 16 to solo, 17 to obtain your Private Pilot certificate and 18 to become a Commercial Pilot. Government regulations require all new students to show a valid passport or birth certificate to start their training. Non-US citizens must apply for a training clearance from the Transportation Security Administration (TSA). Our staff can help with the TSA paperwork if needed. Alpine’s training staff is very conscious of safety and therefore uses a standardized teaching technique that incorporates proven methods and standards with our years of experience. We invite you to go for your first flight to see how much fun you’ll have flying. Our dedicated instructor will be next to you the whole time, and they’ll perform the take-off and landing. But once in the air, you will be at the controls! You’ll get a feel for straight and level flight, turns, climbs and descents. And the views are incredible! Before investing in flight training find out if you meet the eligibility requirements to get your Student Pilot & Medical Certificates. You will need a Student Pilot Certificate to fly solo and a Medical Certificate to get your Private or Recreational Pilots license. Our staff is always happy to help with these steps. Fill out a few forms and mail them in and the FAA will send you your Student Pilot Certificate, which is valid for two years. There is no need to wait at home for it either, as you can continue flying and practicing until it arrives. When you finish the basic flight training and written tests, and your instructor feels you are ready to fly by yourself, you’ll be ready to solo! Don’t forget your camera because this is a day you will never forget. During this stage you will attain the skills needed to leave the local area and fly to other airports. You will learn to navigate, check weather reports and forecasts, file a flight plan with a weather briefer and learn more about aircraft performance. There are a lot of interesting places to fly during this phase and you’ll see things you never saw before. Flying at night is a very different experience than flying during daylight hours, and many people really prefer to fly at night. With less traffic and unbelievable views, this is an exciting time to fly. You will need at least 10 hours of night flight and some of those hours you’ll be flying to other airports in the area. The FAA Private Pilot Knowledge Test is your written exam covering all the aspects of aviation theory and practices. The exam is a 60 question, multiple-choice type test and the results are valid for two years. Minimum passing score is 70% and this test must be completed before you can go for your final Practical Test, also known as the Check Ride. 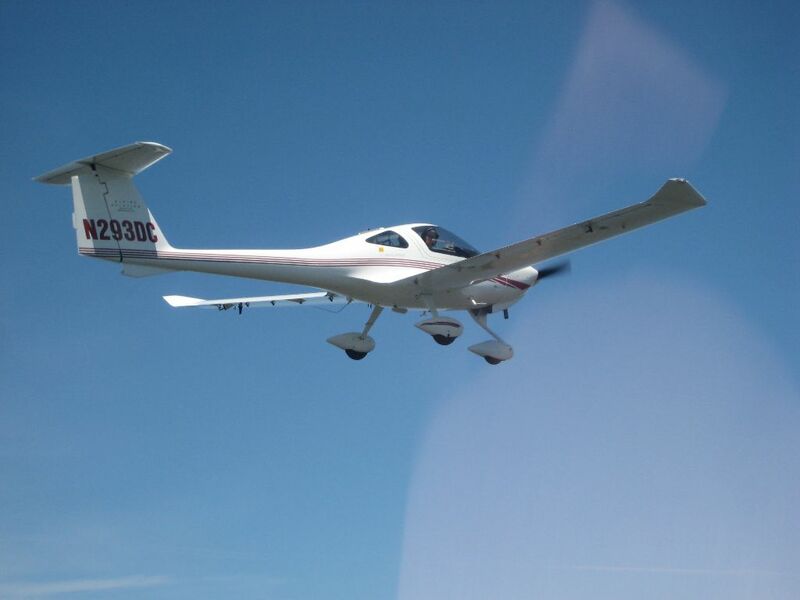 An Oral Knowledge Test followed by a Practical Flight Test is performed by an FAA Designated Examiner. After this, you are a certified Private Pilot with all the rights and privileges! Once you earn your Private Pilot Certificate, the adventure has just begun. In a light airplane, you travel further and faster — and you have fun getting wherever you’re going. That means you might start looking forward to business trips for a change. Or, you’ll add some spice to your weekends with day trips you never imagined were possible. One of the best times to travel by air is during the holidays when you can look down and see all the traffic stuck on the highway. Look through this section to learn about how flying can complement your life – with travel, new challenges, aircraft ownership, or even a flying career. In flying, there is always more to learn. That is why Alpine Aviation offers aircraft and instructors to help you get your Instrument Rating as well as the Commercial and Airline Transport Pilot certificates. Whether your interest is to expand your skills or pursue a professional career in aviation, Alpine Aviation’s experienced instructors are here to train you to the highest standards and help you reach your goals. Alpine Aviation also offers mini-courses in Mountain Flying, Short-Field Landings, High Altitude Airport operations, and Class Airspace/Tower Operations. These courses offer the essential knowledge and skills to pilots who want more freedom, and safety, in flying. We also offer training in Seaplane operations to help pilots get their Airplane Single-Engine Sea rating. To sign up for personal flight training just call or stop by our offices and talk to Sandy Mills and we’ll begin your application process. We can help you earn your wings! Contact us here to get started flying! Instrument flight training teaches you to fly among the clouds but it also teaches you to be a better precision pilot. The IFR system is a series of rules and procedures. A safe pilot is one that recognizes limitations and seeks a training partnership which facilitates growth required to undertake a new certificate or rating. A commercial pilot is paid for their services, these services can include, local scenic flights, ferry flights, crop dusting, banner towing, aerial photography, fire fighting and can get your flight instructor rating. Some say the commercial rating is a glorified private pilot because many of the maneuvers are the same. You want to become the master of the plane and be smooth and skillful in what you do.